Day 10 of the 12 days of free projects to make this the best Handmade Holiday season ever. 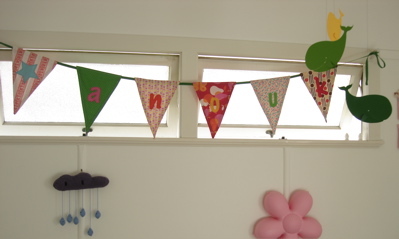 Grab some green and red fabric and whip up (har, har) these bunting flags from Whip up. You could also use the template and make them out of paper for a very quick (but not at long lasting) version.